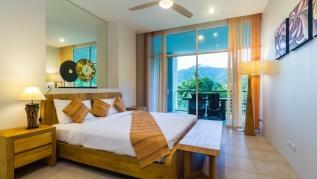 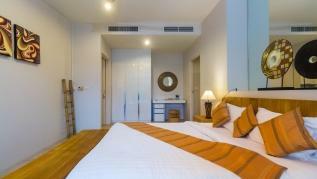 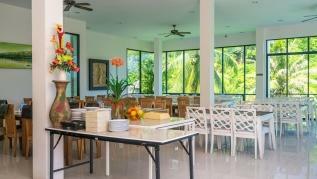 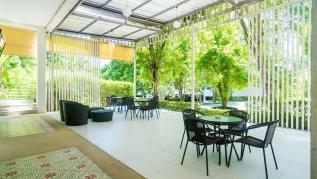 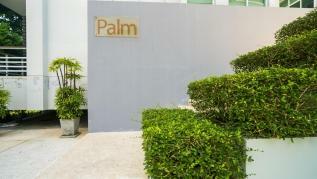 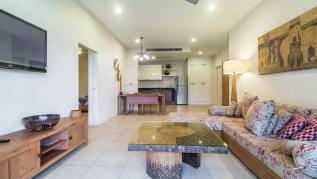 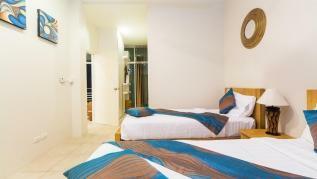 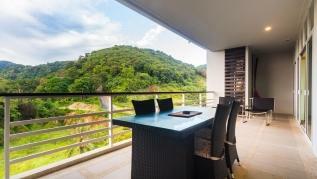 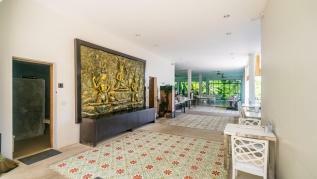 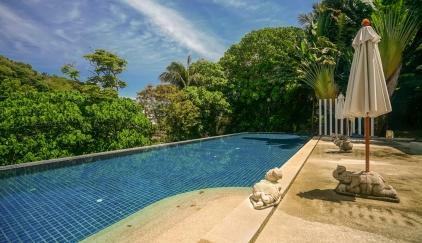 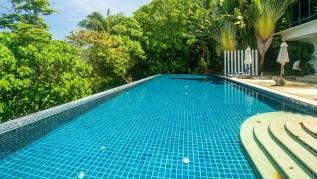 Only 6 minute walk to Karon beach, close to restaurant and shops, no hills. 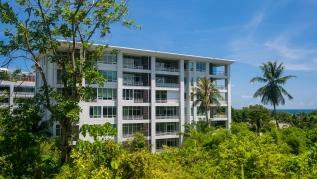 20 min walk to Kata beach. 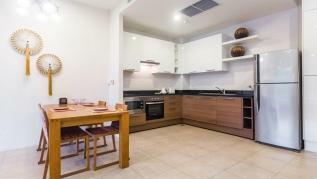 150 sqm 2 bedroom apartment with full kitchen, dining area and living room.Great amenities: restaurant, mini mart pool and gym. 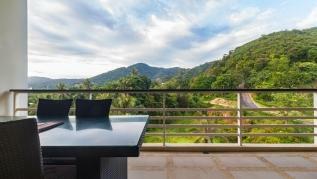 Top floor apartment in a quiet setting, with mountain views. 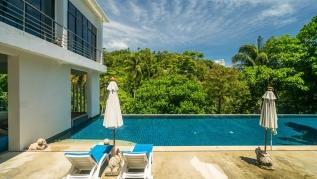 Can walk to shops, restaurants and Karon beach. 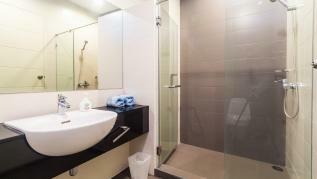 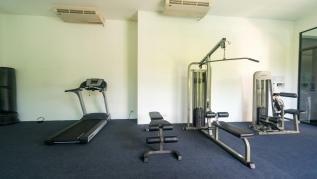 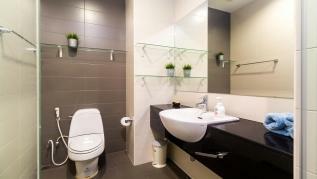 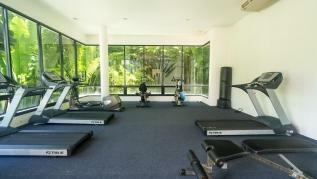 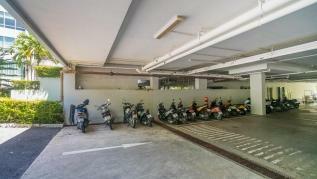 The building offers swimming pool, gym, a restaurant where buffet breakfast is served at additional cost and a minimart. 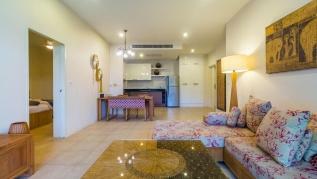 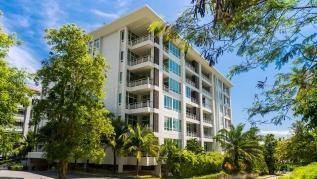 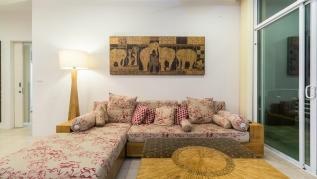 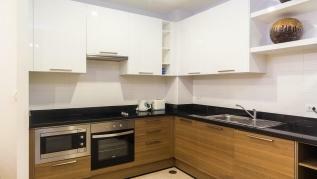 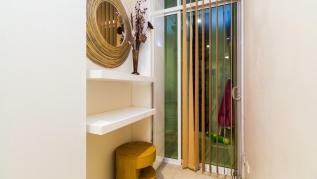 The 2 bedroom apartment has a large open view balcony, kitchen, living room with TV. 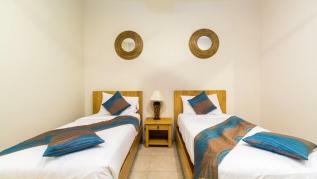 Master bedrooms has a large king bed and ensuite bathroom with bathtub, second bedroom has 2 single beds and ensuite bathroom with walk-in shower.